The Hunger Games first came to me during a night of persistent insomnia which I hoped to dispel by reading some charming YA fiction with a predictable love-triangle and the safe knowledge that the good guys would win. Alas, I was awake until gone five in the morning because The Hunger Games is brilliant. I read the whole trilogy over about 48 hours flat, completely gripped by the story and the world. The novel is set in the post-apocalyptic nation Panem, divided into twelve Districts, of which the first, The Capitol, is in control, and is told from the point of view of 16-year-old Katniss Everdeen. This first book in the trilogy tracks Katniss’ progress through The Hunger Games, an annual televised death-games involving children aged 12-18, one male and one female, selected at random from each of the twelve Districts. Ultimately, of course, we know Katniss is going to win, or the next two books in the trilogy would be somewhat void, but this doesn’t interfere with the drama of the plot. In order to pander the the Captiol audience’s whims, Katniss strikes up a pretend relationship with the male competitor from her District, Peeta Mellark. As the games continue, the force of their supposed relationship takes on a significance of its own in the outside world and by the end of the book, Katniss has undertaken actions which potentially make her a dangerous opponent to the power of the Capitol. I had the impression before reading this that The Hunger Games might be a sort of Western equivalent of Battle Royale, or a Twilight for clever girls. It is, in fact, much more than both of these things. Katniss is a completely badass female protagonist: she is strong, good-hearted and has a well-tuned moral compass, though her mood-swings and romantic confusions make her lovable and human. She doesn’t like to wear make up, shave her legs, or wear dresses, and in short embodies a completely feminine archetype without conforming to the ideals and preconceptions of modern Western media. Most refreshing! Moreover, while the writing is easy to read and obviously aimed at a Young Adult audience, the themes of the book translate well for older readers. Extreme poverty, the superficiality of the media and the moral corruptness of governmental organisations are all deftly covered and emphasised by a cast of excellently drawn supporting characters. All in all, an entertaining and highly worthwhile read. 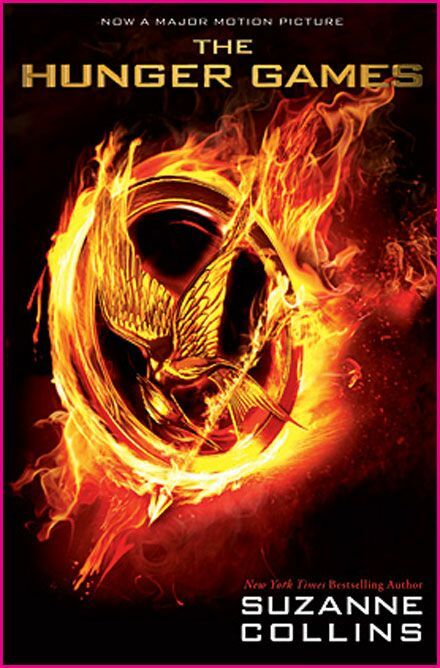 The Hunger Games was published in the UK by Scholastic in 2008. It is available in on Amazon in print and ebook format.